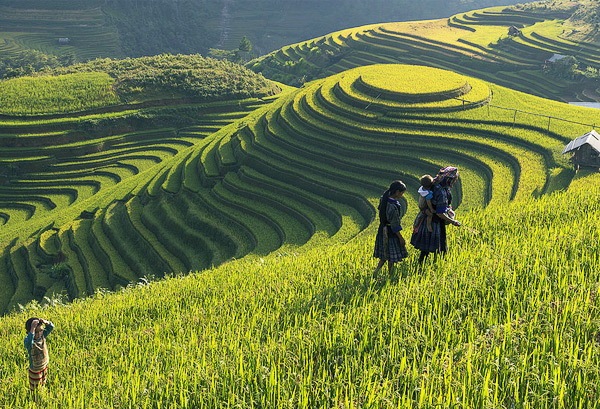 Sapa is a famous place for the majestic scenery with lots of marvelous paddy rice fields and valleys run across the area. Known as favorite destination is not only interesting by the magnificent landscape, but also the unique culture as well as the hospitable people and their fascinating lifestyle. 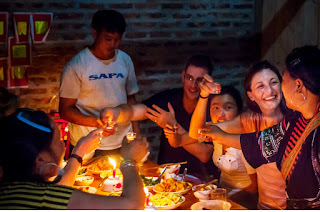 However, if you are interested in the lifestyle as well as the unique cultures of the ethnic minority of the hill tribes here, Sapa Homestay Tours will be the best choice for you. This ideal itinerary will take you to live with the local family for one or two nights, cooking and eating with them and learning how they live their lives. 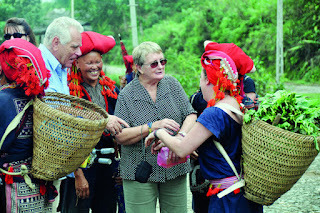 Also you will get the opportunity to trek through local villages and visit local markets. Whatever, Sapa is always wonderful to visit around year, kind of tour is diverse and all of them is perfect to make sure you will get a suitable choice for yourself. Our wish is always bring you the most new and interesting experience on each journey through the unique tour designs. Therefore, do not hesitate to contact us, AsiaCharm Tours will give you the customized tour with an favorite itinerary as well as the best price like your request. Tag: Sapa Homestay Tours – One Of The Best Ways To Experience The Unique Lifestyle Of Sapa's Ethnic Minority, Sapa Tours, Vietnam Package Tours.